You may be nervous about dealing with insurance companies. Don’t be! With Priebe Roofing and Remodeling, you’re not alone. Our unique combination of restoration contracting and insurance recovery experience will help ensure that your repairs are done on time and that you will receive the money due on your claim in a timely manner. 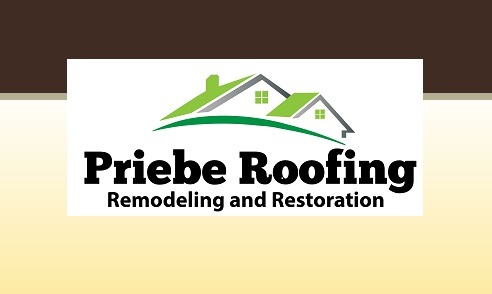 Choose Priebe Roofing and Remodeling as your insurance claim specialist! You will have hired the region’s best contractor to meet with your insurance provider, process your storm damage claim, and complete your restoration in a timely and professional manner. A question we hear often is: “Won’t my insurance rates go up if I turn in a claim?” In general, a storm large enough to cause hail, wind and/or fallen tree damage will affect a large area; rates go up for the entire state. In that case, your rates will go up whether you turn in a claim or not. Don’t accept higher rates and damage that goes unfixed! To save time as the restoration process begins, please have your insurance policy and policy numbers available. If you do not have this information, contact your insurance agent; they will be able to assist you. The storm damage restoration process begins when a Priebe Roofing and Remodeling representative visits your property and conducts a thorough analysis of your home. You will then need to contact your insurance company to 1) set up your claim, and 2) give your Priebe Roofing and Remodeling representative the authorization to meet with your adjuster to discuss the damage. We then prepare a free and complete estimate of proposed work to be performed, and handle negotiations with your insurance company. You will receive professional and specialized service when contracted, with no headaches from your insurance company! Select a reputable contractor like Priebe Roofing and Remodeling to handle your contracting needs. Your contractor should be 1) experienced in insurance restoration work, and 2) do much of the liaison work between you and your insurance provider. Usually the most challenging aspect of replacing your roof after a dramatic weather event is dealing with your homeowner’s insurance claim. At Priebe Roofing and Remodeling, our professional administrative staff is experienced in the insurance claim processes of most major homeowner insurance companies and will step in and assist you with that confusing and sometimes adversarial roof replacement claim. We’ll assign you a personal account manager to come to your home or commercial site to assist with all insurance claim paperwork and negotiations. Our account manager will explain your particular homeowner insurance claims process to you, answer any questions you may have, coordinate inspections and meetings with your insurance adjuster, arrange an appointment with your adjuster and make sure that he/she is present at the first evaluation or inspection of your roof. In advance of the adjuster’s visit, we’ll prepare a diagram of your roof, provide your insurance company with the details of your roofing replacement requirements, which may include rain & water damage or even wind damage. We will also issue a Scope of Work Statement on your behalf. Our goal is to provide you with the assistance to assure that the only out-of-pocket expense you have to provide for your new roof is the amount of your deductible on your homeowner’s insurance policy. We strive to make sure you are not surprised with any additional expenses that you don’t know about up-front, before your roofing replacement project begins. We use the most recent technology to present the damage to your insurance company in the form of satellite imaging of your roof to verify the damage that we have visually cataloged. Most major homeowner insurance companies are familiar with our expertise at the Priebe Roofing and Remodeling and trust that we are providing them with reliable, well-documented evidence when we conduct a roof inspection. And, should there be any doubt on the part of your insurance carrier of your needs, our representatives will negotiate a reasonable deal on your behalf to make sure that you get the best possible outcome. Contact one of our Roof Replacement Specialists and we will assist you throughout the claims process. We guarantee that our services will please you.